Elizabeth Lazzara has 24 years of extensive experience representing clients in all financial phases of divorce or family law conflict, including, but not limited to: antenuptial (prenuptial) and postnuptial agreements; trial practice and procedure; child support and maintenance; property distributions; valuations of closely held corporations, limited partnerships, retirement funds, commercial and residential real estate holdings and employee stock options; and tax analysis of complex income scenarios. She works closely with accountants and valuation experts to determine non-marital and marital values of assets. Elizabeth also devotes a substantial portion of her time representing clients on children’s issues involving contested and uncontested child custody, allocation of parental rights and responsibilities, liberal and supervised visitation, relocation, termination of parental rights, and issues of physical, sexual and/or substance abuse. In this capacity, she works closely with court appointed psychiatrists and child psychologists on custody evaluations in both mediated and litigated settings. Elizabeth joined Aronberg Goldgehn in July 1998. In May 2014, she completed the Divorce Mediation Skills Training course at Northwestern University School of Professional Studies. Today she uses these skills to assist clients in reaching reasonable, creative and cost-effective solutions that are right for their family. Elizabeth is on the Circuit Court of Cook County, Domestic Relations Division’s list of Court-Certified Mediators, and is certified to mediate Discretionary (financially related issues) and Mandatory (custody related issues) mediation cases. She regularly publishes and lectures on numerous family law topics, including “Preventing Critical Financial Mistakes During Divorce” and "Family Law From A to Z." Most recently, she presented “Initiating the Child Support Case” and “Modifying and Enforcing Child Support Decrees” at the National Business Institute’s “Advanced Issues in Assignment of Parental Responsibilities and Support in Divorce” seminar, March 2017. Elizabeth holds the AV® Peer Review Rating from Martindale-Hubbell, its highest rating for ethics and legal ability. 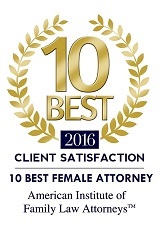 She has been recognized as a 10 Best for Client Satisfaction by the American Institute of Family Law Attorneys. 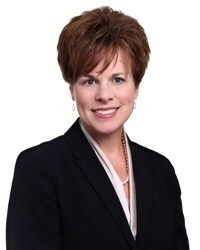 In 2018, she was named by Crain’s Custom Media as a “Notable Woman Lawyer in Chicago.” Also among her accolades, since 2003 she has annually been named a Leading Lawyer in Family Law by Illinois Leading Lawyers, and she has been named a Super Lawyer in Family Law by Illinois Super Lawyers. What is your favorite thing about working at Aronberg Goldgehn? We provide the best, high quality, time-sensitive legal representation at some of the best rates in the city. What is one item on your bucket list? To set aside more time for traveling. What would you be doing if you weren’t a lawyer? Gardening. I love to garden. What is your favorite place in Chicago? Any of our great sports venues. I’m a sports fan, and there’s no better sports town than Chicago. What is the best vacation you’ve ever been on? Every vacation that we were lucky enough to have the entire family along! What is something most people don’t know about you? I discovered running in my late 40s. Who knew I had it in me?